Battlefield 1 Turning Tides will be released in two waves – the first wave is coming on December 11th for Battlefield 1 Premium Pass owners. 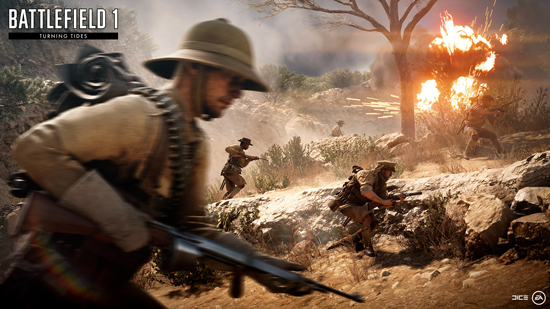 Players will be able to fight across a duo of epic maps, including Cape Helles and Achi Baba. 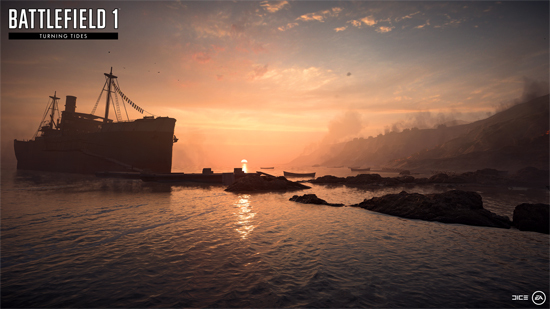 In a new Operation set on these maps, players can take part in the 1915 British amphibious assault of the Gallipoli peninsula. There will be a new Infiltrator Elite Class, six weapons and two melee weapons added to your arsenal, and you’ll get to rule the waves with the L-Class Destroyer. 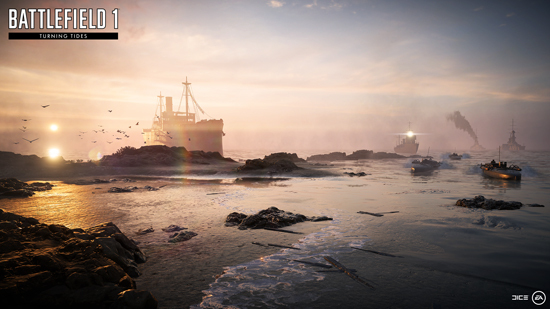 The second wave, coming January 2018, puts players in the North Sea to tackle two other unique maps: Zeebrugge and Heligoland Blight, with the chance to charge into battle with the new Royal Marines and spawn on the C-Class Airship. Battlefield 1 They Shall Not Pass and Battlefield 1 In the Name of the Tsar free trials will be available between November 22nd – December 4th and December 8th – December 10th. Players can log in to Battlefield 1 on these dates to fight with (or against) the French and Russian Armies and sample new maps, weapons, and vehicles. Frontlines Mode is coming to the Suez map on November 27th. Frontlines can be described as a mix of Conquest and Rush and has you fighting for chained control points in an intense tug-of-war. Fall of Empires Operation Campaign will be available for all Battlefield 1 owners between November 22nd and December 6th. Fall of Empires combines two Operations: Conquer Hell and Iron Walls. These are in turn inspired by two 1918 events: the battle of Vittorio Veneto and the Meuse-Argonne offensive on the Western Front. 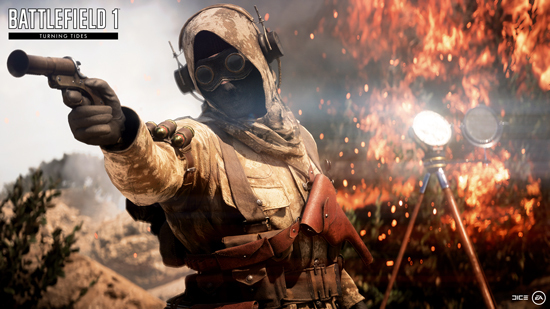 Black Friday Deals on Battlefield 1 will be available (for select regions and platforms) to give new players an opportunity to discover everything that Battlefield 1 Revolution and Battlefield 1 Premium Pass has to offer.